Undocumented Immigrants Pay Taxes - Hacking Law Practice, LLC. In the immigration debate, people commonly say that undocumented immigrants get all the benefits and don’t pay taxes or pay into the system. Undocumented immigrants pay taxes too. Billions of dollars in federal taxes are paid by undocumented immigrants annually, through filed tax returns and taxes that come from employment paychecks. 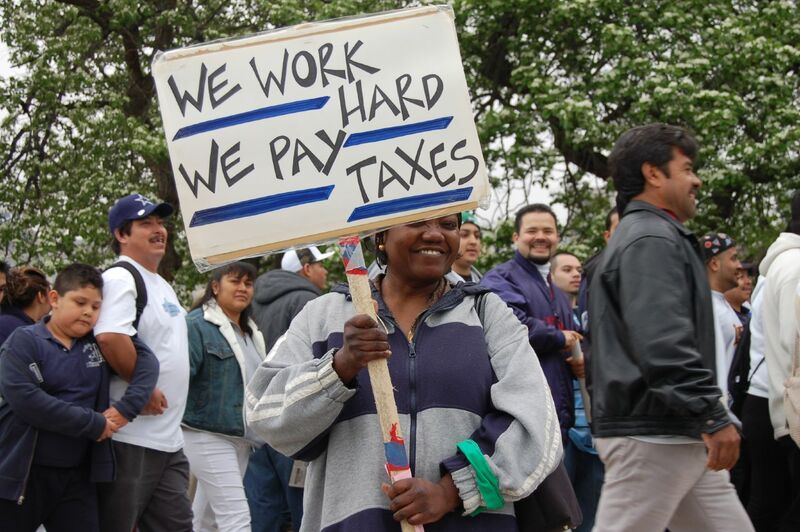 According to the National Immigration Law Center, undocumented immigrants pay taxes to show they are complying with federal tax laws, establish a work history and presence in the US that could help them if there is immigration reform in the future, and to help demonstrate that they have “good moral character” if they are ever able to gain legal status in the United States. How does this happen if undocumented immigrants don’t have social security numbers? Contrary to popular belief that undocumented immigrants use stolen social security numbers, in actuality millions of federal tax dollars are paid by people without social security numbers. The IRS said that in 2015, 4.35 million tax returns were filed with ITINs. This made up $13.6 billion in taxes in 2015. Many experts believe that undocumented immigrants also pay billions in Social Security annually through taxes that come out of their paychecks. The Social Security Administration estimated that in 2010, unauthorized workers were credited with $12 billion in tax revenue for Social Security. Pulitzer-Prize winning journalist, Jose Antonio Vargas, is an undocumented immigrant who shares his personal experiences as a way to further immigration advocacy. He tweeted that he was finalizing his 2018 taxes over the weekend.